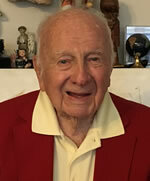 Donald Roy Knapp, 98, a percussionist and a member of Local 802 since 1960, died on June 11. Mr. Knapp first learned how to play drums from his father Roy Knapp, a well-known Chicago drum teacher who taught Gene Krupa. Donald Knapp studied music at Metropolitan School of Music before serving in the Navy from 1941 to 1945, where he earned the designation Musician First Class. Mr. Knapp played drums in several hit Broadway shows in the 1950s and 1960s, including original productions of “Hello Dolly,” “Guys and Dolls,” “West Side Story,” “No No Nanette,” “Can Can,” “Fiddler on the Roof” and “Once Upon a Mattress.” He also toured with the Barnum & Bailey Circus and the Ice Capades. In addition to being a member of Local 802, Mr. Knapp was a member of AFM Local 47 (Los Angeles) and AFM Local 10-208 (Chicago), where he served as secretary-treasurer from 1994 to 2000. He was also a member of the Masons, Elks and Shriners; he played drums for many Shriners parades and worked part time for the Elks Lodge National Headquarters. He also worked on the staff of the WLS Radio Show in Chicago. In 2012, Mr. Knapp won the Dal Segno Honoree Award for his long years of service as a percussionist. He is survived by his nieces Dianne, Lynda and Barbara. Jack Reilly, 86, a member of Local 802 for almost 40 years, died earlier this year, on May 18. He was a pianist, author, composer, recording artist and educator. Born in Staten Island, Mr. Reilly began music studies at age seven with his mother. Just a few years later, while still in his teens, he led a big band that played arrangements of Duke Ellington, Benny Goodman, Count Basie and Woody Herman. After serving in the Navy, where he met Bill Evans, Mr. Reilly earned his master’s degree from the Manhattan School of Music. He studied privately with an amazing roster of teachers, including David Hollander, Lennie Tristano, Hall Overton, Joseph Maneri and Ludmila Ulehla. Mr. Reilly eventually served on the faculties of the New England Conservatory of Music (where he was chair of the Jazz Studies Department), NYU, Berklee, Mannes, the New School and even a jazz school in Italy. 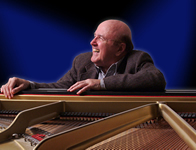 Mr. Reilly wrote books analyzing the harmonies of two of his favorite pianists: Bill Evans and Dave Brubeck. He recorded 16 CDs as a leader and played, lectured, taught and toured all over the world, with groups led by Sheila Jordan, John La Porta, Ben Webster, Ray Starling’s New York Neophonic Orchestra, George Russell’s New York Band and others. Mr. Reilly is survived by his wife Carol Lian, daughters Cheryl and Kim, grandchildren Jennifer, Elizabeth and Michael, and sisters Dolores and Betty. 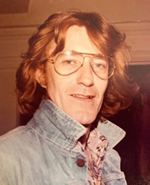 There will be a memorial service to honor Mr. Reilly at St. Peter’s Church (619 Lexington Avenue at 54th Street) on Monday, Nov. 5, at 7 p.m.
Dennis Eugene Smith, 81, a member of Local 802 since 1970, died on Aug. 7 in his Upper West Side apartment. Mr. Smith was a pianist, composer, producer and arranger. He was born in Chicago on Oct. 7, 1936 to Donald and Eunice Smith, and was a graduate of DePaul University, where he majored in music. Mr. Smith was the musical director for the original productions of “Hair” and “Godspell.” He produced recordings and played piano on many of them. Mr. Smith was also a teacher for many years and a devoted educator. He is survived by his beloved son Bruce, who is a former member of Local 802. For information on a memorial planned for October, please contact Bruce Smith at chimera60@verizon.net. The jazz pianist Randy Weston, 92, died on Sept 1. He had been a Local 802 member since 1983. Throughout his prolific 65-year recording career, Mr. Weston drew connections between the music of Africa and the jazz and blues that surrounded him while growing up in Brooklyn. He took classical piano lessons as a child and enjoyed listening to Count Basie, Nat “King” Cole, Art Tatum, and especially Duke Ellington. After serving in the Army during World War II, he returned home and went to work in his father’s Caribbean restaurant Trios, which became a frequent hangout for Louis Armstrong, Dizzy Gillespie, Ella Fitzgerald and Igor Stravinsky. But it was Thelonious Monk who became Mr. Weston’s friend, mentor and major influence. Mr. Weston visited Africa many times and eventually settled in Tangiers, where he operated a venue called the African Rhythms Club. Africa became the theme of numerous Weston albums, many with arrangements by Melba Liston. They include “Uhuru Africa” (1960), “Highlife” (1963), “African Cookbook” (1969), “Blue Moses” (1972), and more, right up to “The African Nubian Suite” (2016). Mr. Weston’s awards and accomplishments are too numerous to mention in this small space; he was an NEA Jazz Master, a Doris Duke Impact Award winner, a United States Artist Fellow and a Guggenheim Foundation Fellow. He held honorary degrees from Colby College, Brooklyn College and the New England Conservatory of Music. He served as artist-in-residence at NYU, the New School and Medgar Evers College at CUNY. He was honored by King Mohammed VI of Morocco and was presented the Legacy Award by the Institute of the Black World. In 2010, Duke University Press published “African Rhythms: The Autobiography of Randy Weston.” His decades of work are now archived at Harvard. Mr. Weston is survived by his wife Fatoumata, children Cheryl, Pamela and Kim, seven grandchildren, six great-grandchildren and one great-great grandchild. 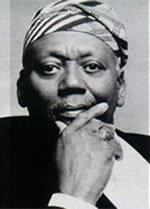 This obituary is condensed and edited from the press release at www.randyweston.info. To report the death of a Local 802 member, please call Avelon Ramnath at (212) 245-4802. Ask about any possible refund of Local 802 membership dues or about the union’s death benefit (there are certain eligibility requirements). Contact the AFM Pension Fund at (800) 833-8065, ext. 1311 (or www.afm-epf.org) to ask about any possible benefits. E-mail obituaries to Allegro Editor Mikael Elsila.